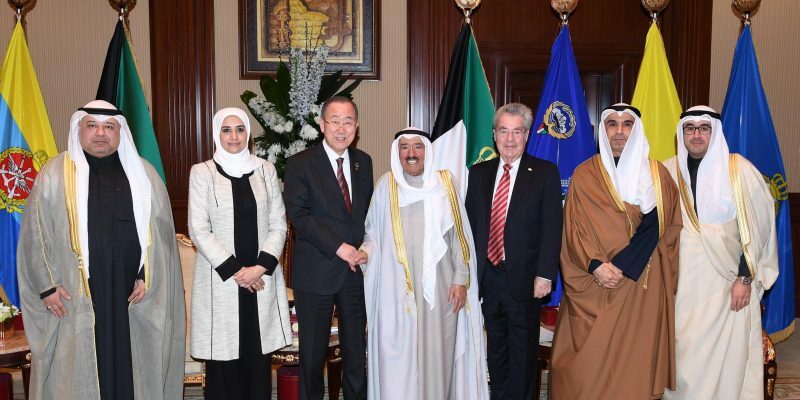 Upon the visit of the Ban Ki-moon Centre for Global Citizens to Kuwait, Co-chairs Ban Ki-moon and Heinz Fischer met with His Highness Sheikh Sabah Al-Ahmad Al-Jaber Al-Sabah, Amir of the State of Kuwait on February 11th. 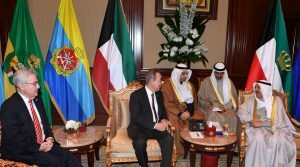 Dr. Khaled Mahdi, Secretary General of the Supreme Council for Planning, Minister Mariam al-Aqeel for economic affairs, National Assembly Speaker Marzouq al-Ghanim, and Ambassador Sadiq Marafi, who is a Board member of the Centre, were present at the meeting. 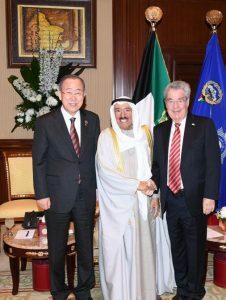 As former Secretary General of the UN, Co-chair Ban expressed his appreciation for the Amir’s leading role in global humanitarian activities and mediation efforts in the Middle East region. World Disasters Report 2018 was launched by International Federation of Red Cross and Red Crescent Societies (IFRC), Austrian Red Cross, United Nations Office for Outer Space Affairs (UNOOSA), and the Ban Ki-moon Centre for Global Citizens on November 12th, 2018 in at the Vienna International Centre in Austria. 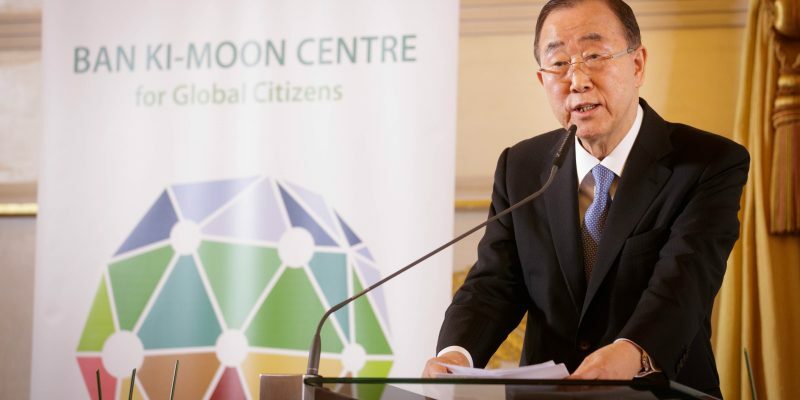 The event featured BKMC Co-chair Ban Ki-moon, Chief Luc St-Pierre of Space Applications at UNOOSA, President Annemarie Huber-Hotz of Swiss Red Cross, Under Secretary-General Jemilah Mahmood of IFRC, and Secretary-General Verner Kerschbaum of Red Cross Austria on the panel. The United Nations Office for the Coordination of Humanitarian Affairs (UNOCHA) reported that only 97 million were selected to receive humanitarian aid out of about 134 million people in need this year. A lack of global investment in disaster relief leaves tens of millions of people exposed to preventable disaster risks. Out of 25 billion dollars required, less than 12 billion dollars have been received. Titled “Leaving No One Behind,” the World Disasters Report 2018 emphasizes that the international humanitarian sector must do more to respond to the needs of the world’s most vulnerable people. 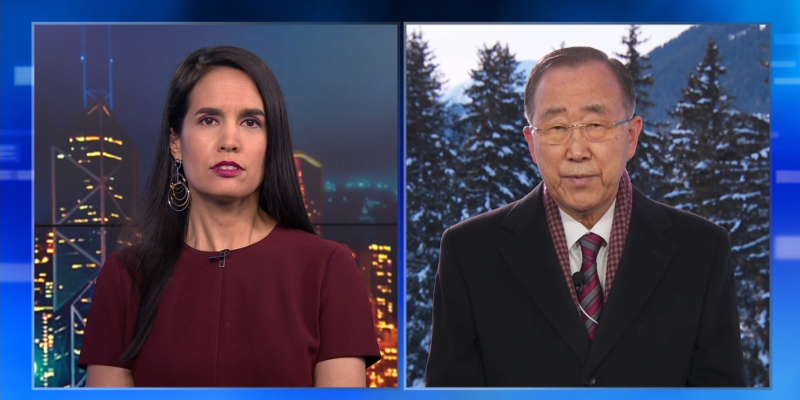 “The international community, states, and individuals to come together to further reach marginalized area and to give hands to people in vulnerable situations,” urged Ban. 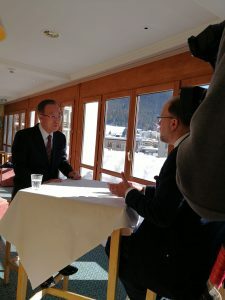 After the launch event, Dr. Eva Poecksteiner from ORF interviewed Co-chair Ban Ki-moon asking some questions including how the international community can prevent disasters, what disasters have touched him personally, and what impact the climate change has on the world’s disasters. 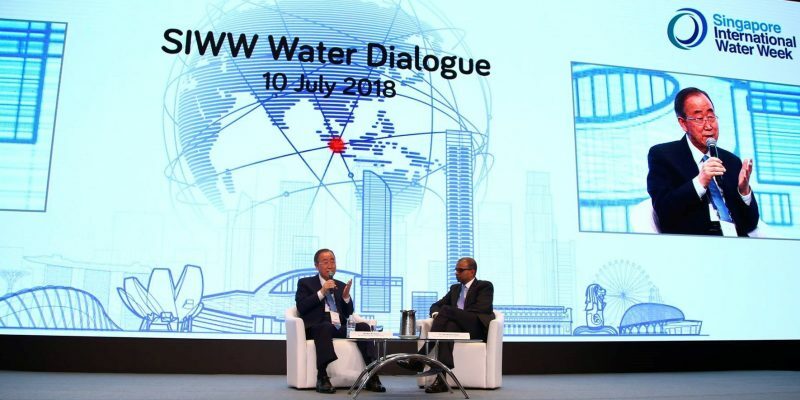 During the Singapore International Water Week (SIWW), Ban Ki-moon gave a keynote address as a distinguished guest to open the Water Dialogue session. The session was part of the Water Leaders Summit on the topic of “Create: Solutions for our Future” and saught to share insights, trends, and solutions concerning water management and sanitation. 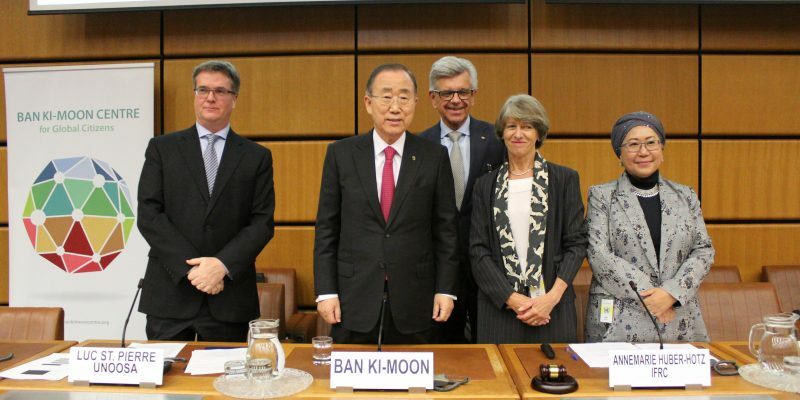 Ban emphasized the importance of the water issues and working together to combat climate change, stating that at least 2 billion people in the world do not have access to safe drinking water. 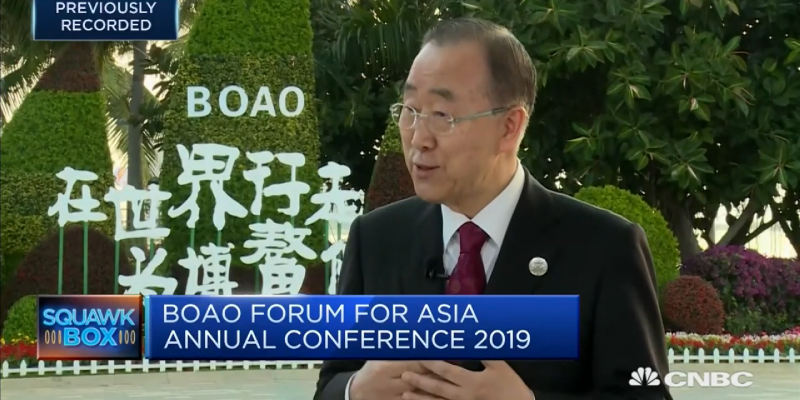 He reminded the attendees that “we are all global citizens” and that we have to proactively take actions for the climate issues that are global issues.